In my efforts to articulate what makes history distinct from other disciplines I have started reading some older literature on the philosophy of history. Although this literature is no longer in vogue, it might still be relevant in distinguishing history from non-history. I am focusing on historical methods and practices because I think these will prove the most useful in identifying what is unique about history. I think it is clear that unlike some disciplines, history has no unique content. Numerous disciplines turn to the past, or more properly, the artifacts thought to have been created in that past and use those artifacts today. The content cannot uniquely demarcate the boundaries of history. But there does seem to be a set of practices or a method that separates history from other efforts to use the past. 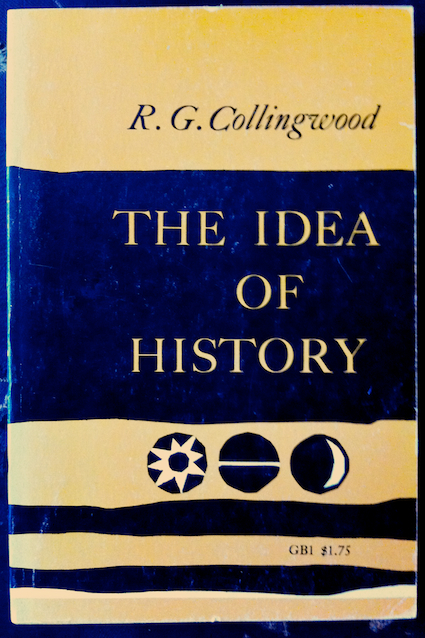 Doesn’t everybody have a copy of Collingwood’s The Idea of History handy? R. G. Collingwood’s The Idea of History offers some points that merit further reflection, particularly on the importance of asking questions in order to recover the problem some historical actor was trying to solve. We can only begin to understand what a historical actor was doing if we understand the problem that actor was trying to solve. This seems, to me, a useful starting point. 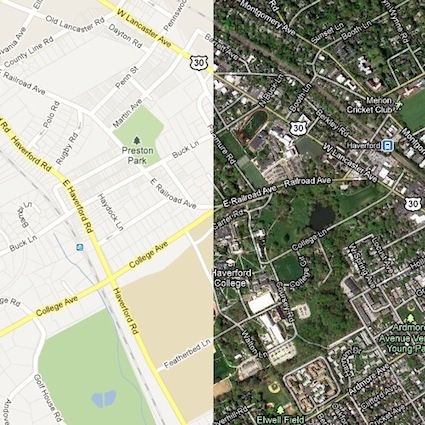 Collingwood has shifted our focus from our present-centered ideas to the historical actor’s understanding and meaning. Historical understanding and meaning are at the heart of his question-and-answer approach, which he most succinctly presents in his An Autobiography . 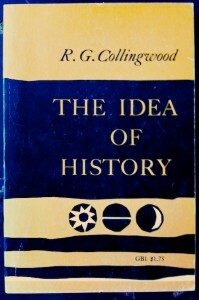 In The Idea of History Collingwood turns his attention to understanding and meaning in a section on historical evidence. Collingwood is railing against the “scissors and paste” historians. Such historians, he claims, first “decide what we want to know about and then go in search of statements about it, oral or written, purporting to be made by actors in the events concerned,” or made by reliable witnesses (p. 257). “History constructed by excerpting and combining the testimonies of different authorities I call scissors-and-paste history” (p. 251). The problem, as Collingwood sees it, is the historians who practice such history fail to ask why a particular statement was made at the time and take it as self evident that the statement relates to the historians’ own ideas. These historians are also forced, when confronted with conflicting testimonies, to decide which is correct and should be included and which is false and can safely be excluded. Here again such historians are imposing their own categories and standards of correct or incorrect rather than understanding what the historical actors might have meant, that is, what problems the historical actors were trying to solve. So, however much testimony he has, his zeal as an historian makes him want more. But if he has a large amount of testimony, it becomes so difficult to manipulate and work up into a convincing narrative that , speaking as a mere weak mortal, he wishes he had less. Consciousness of the dilemma has often driven men into scepticism [sic] about the very possibility of historical knowledge. And quite rightly, if knowledge means scientific knowledge and history means scissors-and-paste history. 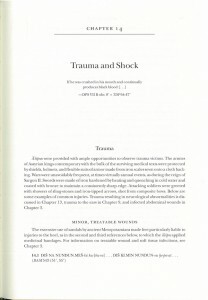 Scissors-and-paste historians who brush the dilemma aside with the blessed word ‘hypercriticism’ are only confessing that in their own professional practice they do not find that it troubles them, because they work to such a low standard of scientific cogency that their consciences become anaesthetized [sic]. 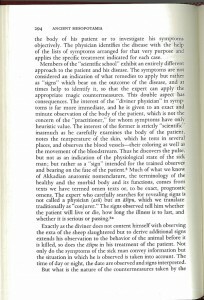 Such cases in contemporary life are highly interesting, because in the history of science one often meets with them and wonders how such extraordinary blindness was possible. The answer is that people who exhibit it have committed themselves to an impossible task, in this case the task of scissors-and-paste history, and since for practical reasons they cannot back out of it they have to blind themselves to its impossibility. The scissors-and-paste historian protects himself from seeing the truth about his own methods by carefully choosing subjects which he is able to ‘get away’ with, exactly as the nineteenth-century landscape-painter protected himself from seeing that his theory of landscape was all wrong by choosing what he called paintable subjects. The subjects must be those about which a certain amount of testimony is accessible, not too little and not too much; not so uniform as to give the historian nothing to do, not so divergent as to baffle his endeavours to do it. Practiced on these principles, history was at worst a parlour game, and at best an elegant accomplishment (my emphasis; p. 279). The problem seems to be that scissors-and-paste historians allow their own ideas and convictions to drive their search for testimony, which when confronted with a surfeit of seemingly relevant testimony they then prune according to their own prejudices. Their search begins and ends with the statements themselves. Scissor-and-paste historians then string these bits of testimony together in a narrative. In the end, such history is merely a “parlour game,” a sort of textual hide-and-seek. Every step in the research process requires asking a new question. These questions are not random nor haphazardly arranged. They must be asked in the right order. These questions must be formulated by the historian who must search for evidence to answer them in the historical record. In looking for evidence to answer these questions, the historian must look beyond testimony and treat everything as possible evidence. Collingwood is trying to distinguish good from bad history. He was hopeful that scissors-and-paste history had fallen out of fashion by the 1930s, but I am not so sanguine. In fact, it seems that in our world where people have increasing access to the remnants of the past, scissors-and-paste history is once again a problem. Further, I don’t think scissors-and-paste history has ever completely fallen out of fashion in much non-academic history of science. Certainly, all the “father-of-x” or the “making-of-the-modern-y” histories are typically scissors-and-paste histories (for a nice rejection of the “father-of-x” form, see Unsound history and earlier Lisa commits the ‘father of’ sin). The pitfalls of scissors-and-paste history also seems to be at the heart of Helen King’s critique of Don Shelton’s article (see History and the Problem of Historical Expertise). I agree with Collingwood: good history begins by seeking to understand what the historical actors meant. And to do that, we have to begin by seeing their products—statements, texts, letters, instruments, buildings, etc—as the solutions to problems they were trying to solve. Our problems were not their problems.